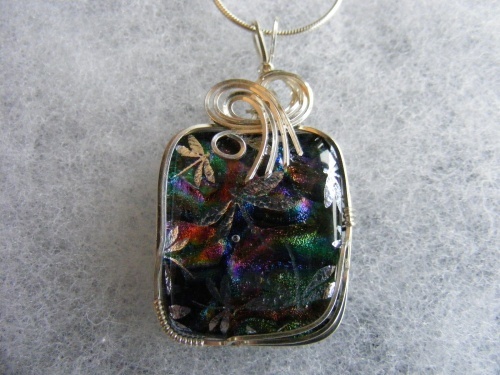 This unique dragonfly dichroic piece has every color to match any outfit. Silver little dragonflies flying across the piece make it so whymsical and fun to wear. Sculpted in sterling silver curls this is truly a beautiful and unique piece. Comes with a sterling silver snake chain.